Its been a year or so, and nope… the obsession over Jeffrey Campbell Litas has not even come close to its end. There is no way around this trend, as probably every single fashion blogger has blogged about these JC boots in some shape or form. (Trust me, I know. It gets kinda annoying when you scroll down and see 10 pictures of the same shoe.) It’s seemingly the “it” boot. 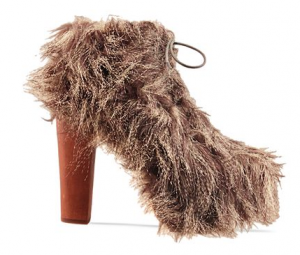 The boot that every girl seems to lusts, and the boot every fashionista seems to need. Not only are these laced-up boots super photogenic, but the raised 2 inch platform and chunky 5 inch heels create the perfect finishing touch for almost every outfit. Made for the ladies who aren’t afraid to stand out, these Jeffrey Campbell Litas will give you all the glamour you ever dreamed off, and the supermodel height you always wanted. Ranging from 150$-200$, these monstrously hot boots are a great investment piece and surprisingly comfortable. Its a guarantee you’ll get your 150$ worth out. Wearable to several different events, you’ll never have to worry about sore feet or wearing “last season” footwear. And to those who have trouble walking in heels, don’t be alarmed! JC Litas allow you to easily navigate your way through crowds of people; without tripping every 2 steps. Despite the occasional outrageous variations of the Litas (check below), Jeffrey Campbell Litas continue to rock the streets and blogs and will continue on doing so. So whether you love it or despise it, you’re going to have to deal with it. This is what I meant by a hairy mess. Get The Look of Bonnie and Clyde’s Bonnie Parker! Flatforms: Love it or Hate it?